Science is not just about research and lab coats. The Leisure and Cultural Services Department provides facilities that will allow you to experience the wonder of science, technology and astronomy, how they shape our lives and what we can learn from them. The Hong Kong Space Museum, the Astropark and the Hong Kong Science Museum are all open year round for your exploration and enjoyment. The Hong Kong Science Museum has been an outstanding attraction in Tsim Sha Tsui since 1991. With a permanent exhibition area of 6,500 square metres and a Special Exhibition Hall spanning 745 square metres, the Museum offers a wealth of learning opportunities for visitors. You can take in permanent and special exhibitions, attend lectures, visit the Science Theatre, or take advantage of the Self-Learning Software Centre. A world of wonder is just waiting for you! The Science Museum is located in Tsim Sha Tsui East and is easily reached by public transport. Further information is available through the following links. Approximately 500 exhibits are on display in the permanent exhibition area. A distinct feature of the area is the 22-metre high Energy Machine, and 16 galleries focusing on a wide range of science and technology topics. As most of the exhibits are participatory, you will have a hands-on chance to learn. The Museum also hosts special exhibitions, usually of around four months’ duration. In recent years these have covered topics ranging from the life of Albert Einstein to Biodiversity in Hong Kong, and China’s first spacewalk mission, amongst many others. Further information is available on the Science Museum’s webpage. Information on the current exhibition is available through the following link. Self-learning activities, Science Theatre attractions and Popular Science Lectures are also on offer. The current event calendar can be accessed through the following link. Futher information on all aspects of the Science Museum is available on its website. The Hong Kong Space Museum is a local landmark, set boldly against Victoria Harbour. Since 1980, the 8,000 square metre Museum has celebrated mankind’s exploration of space. The east wing houses the world’s first fully automated planetarium, nestled in an iconic egg-shaped dome. Beneath that are the Stanley Ho Space Theatre, which boasts the first OMNIMAX cinema in the Eastern hemisphere, and the Hall of Space Science. In the west wing you can visit the Hall of Astronomy and the Lecture Hall. Both of the exhibition halls include predominantly participatory displays, and the Museum organises a range of activities for your learning and pleasure throughout the year. Conveniently located on the Tsim Sha Tsui waterfront, the Space Museum is open six days a week almost all year round. The following links will take you to the address and opening hours of the Museum. If you are interested in finding out more about the Museum you can call the general enquiry line at (852) 2721 0226. Further information on the Museum itself, the latest exhibitions, online research resources, Museum publications and news from the world of astronomy is available through the following link. 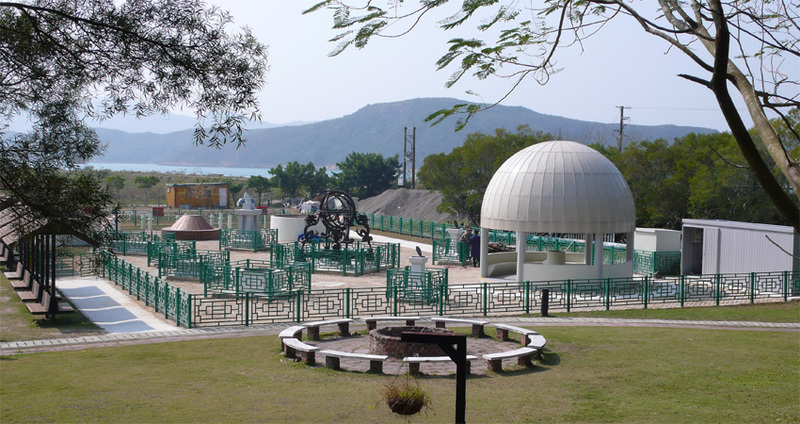 Located within the Chong Hing Water Sports Centre at High Island Reservoir, the Astropark features 1,200 square metres of Chinese and Western astronomical instruments. At the Astropark you will be able to stargaze and learn about astronomy as well as how astronomy has been practiced from ancient to modern times. The facility is divided into an Educational Zone, a Naked-eye Observation Area and a Telescopic Observation Area for amateur astronomers. Situated in the scenic Sai Kung District, the Astropark is part of the Chong Hing Water Sports Centre. The following links will take you to information about the Astropark’s location and when it can be accessed. Further information on the Astropark, including answers to a series of frequently asked questions, can be obtained through the following link.